A great golf swing technique to improve your golf game with power, flexibility, and consistency is to increase the reps, or repetitions, during your routine workout exercise. A great method to incorporate into your fitness program is using the RIP, or Rest Interval Performance, Fitness. In any activity that we perform, whether work, sports, or exercise, rest periods have been proven to be an important component to the person’s overall performance and health. Even when an athlete is training to run long distances, the best training technique is to run-and-walk until the runner can reach their training distance. This same approach can be applied to your normal exercise routine. I use the RIP Fitness as part of my CASPER Workout Program that includes performing 100 sit-ups each day. 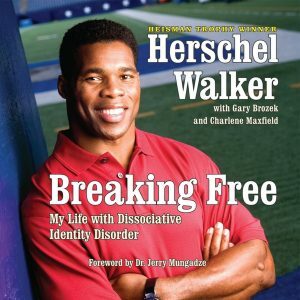 Herschel Walker used sit-ups as a main component in his workout to achieve The All-American status and win The Heisman Trophy. The RIP Fitness that I use is where I perform 5 sets of 10 sit-up reps in the morning and again in the evening. Between the 5 sets of 10 sit-ups, I have a 10 to 15 count rest period before I continue to the next set of sit-up reps. A great counting method is your breaths, count your breaths during your rest period. 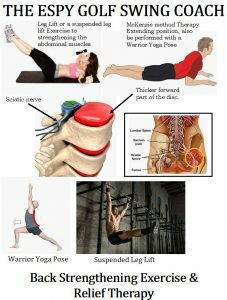 This provides me with the ability to build my abdominal muscles, which is essential to my golf game by maintaining a strong core in order to prevent back injuries. 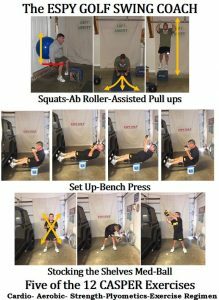 I typically perform the twelve (12) exercise elements in my CASPER Workout Program four times per week, but I perform five of the CASPER Workout Program elements every day as part of my golf swing workout. These five golf swing workout elements consist of: Sit-ups, Abdominal Wheel, Stocking the Shelves using a 15-pound Medicine Ball, and an 80-pound Punching bag workout, and a three-mile bike ride. Strengthening the abdominal muscles is critical to my golf swing and is a predominant part of my daily golf swing workout routine. 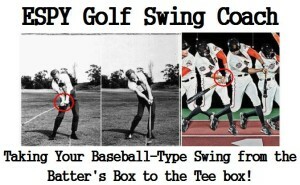 I don’t perform my golf swing workout before I play golf, however. 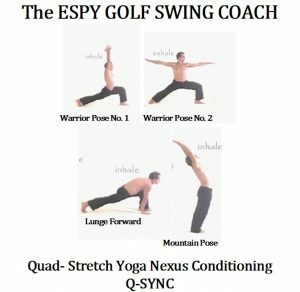 I just perform my GOLFER Q-Yoga routine to flex and help lubricate my joints. The abdominal muscles are critical to provide power and speed in my golf swing, but even more essential to prevent injuries to my lower back. Abdominal muscles are important to prevent lower back pain and injuries that are common among golfers. NOTE: A great theory for your back is the McKenzie Method that I learned while attending Kinesiology school. Use the link to learn more about this method. I depend on my abdominal muscles to provide the power I need to Gear up for my golf swing sequence. This is where I Syncing/Presetting my left wrist and right elbow (I’m right-handed) with my shoulders, much like how gears on a ten-speed bicycle functions. The power I’m generating through my elbows turning with my shoulders maximizes both Power and Speed, clubhead speed. Based on the same principles of how the gears on the ten-speed are arranged. The golfer can use their elbow to coil the shoulders and abdominal muscle in the takeaway to create power than in the downswing the golfer can naturally reverse the gears, This allows the shoulders to uncoil to turn the golfer’s elbows to create clubhead speed. Anyone who has compared the single-speed bicycle to that of the ten-speed realizes the advantages the ten-speed has over the single speed bicycle. There’s simply no comparison. The single-speed bicycle-type golf swing is how some amateur golfers are using to set up their golf swings. They are using the single-speed bicycle approach, where it is the middle of the road, not creating a significant amount of power nor speed. They aren’t properly engaging their elbows with their shoulders to maximize their potential. Syncing/Presetting the wrists is exactly what David Duval, Ken Duke, and Sir Nick Faldo demonstrated in each of their golf swings on Golf Channel, and Syncing the golfer’s elbow is the tip that Arnold Palmer gave President Eisenhower, particularly concerning the President’s right elbow. The GPS (Gear Preset and Sync) golf swing sequence allows the golfer to engage their abdominal muscles directly for more power, speed, and distance. If you want the benefit of stronger abdominal muscles using the RIP Fitness APP, this will give you the ability for higher reps without experiencing fatigue or exhaustion. Even when you are working outside, especially during the summer period, taking breaks is important. I usually take a ten-minute break every hour while working on my farm. You’ll actually accomplish more work by using this method. I depend on the RIP Fitness APP for working on my farm and for my golf game. 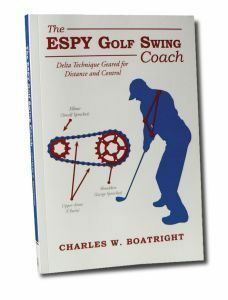 The ESPY Golf Swing Coach, a Self-Coaching Technique and simple Sports Psychology enabling the golfer to take the baseball swing sequence from the batter’s box to the tee box. The TACK Room is list of training equipment and gear that I use in my routine practice and self-coaching techniques. The golfer can incorporate this equipment and gear into their routine practice sessions to help develop techniques to improve their mechanics, or muscle memory, on a consistent basis. Before a golfer can develop their golf swing sequence feel, they first will need to develop and establish their golf swing mechanics. The following are training equipment and gear that I have personally purchased and use in my self-coaching approach. 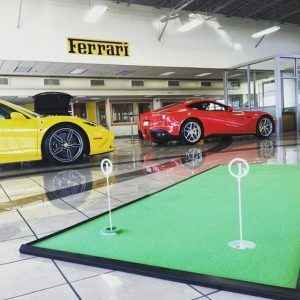 The golfer can use the TRACK Room as a Kiosk to link to the manufacturer and distributor websites to purchase this training equipment and gear. Just by selecting the images below, the manufacture or distributor site can be accessed. Develop a complete Tee-To-Green practice session in the convenience of your home or office. To complete the golfer’s practice session, the golfer will need to have access to a putting surface. Without installing an expensive artificial green in your backyard, the golfer can use an affordable option of the storable BirdieBall® putting greens that has realistic, undulating surfaces and green speeds that match those of an actual green on the golf course. This can be placed in the garage, spear room, or in a business sitting. To help develop a more effective golf training exercise in your backyard or vacant field, I would recommend purchasing a dozen or more of the Almost Golf Balls® from LIBERTY Health Supply. 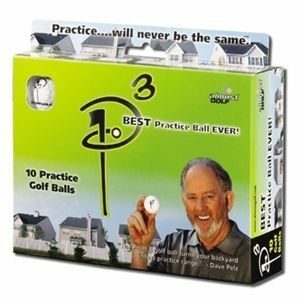 Please select one of the products below to purchase these golf balls that simulate the actual golf ball, without the concern for property damage or personal injury to others. These balls only travel a third of the distance of an actual golf ball, up to 100 yards. If you use the Promo Code: ALMOSTGOLF, you will receive free shipment on any order of Almost Golf Balls® from LIBERTY Health Supply. 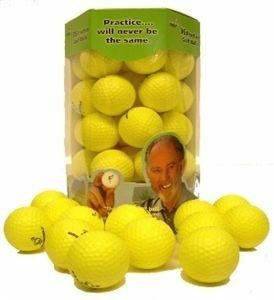 I have a utility bag full of these Almost Golf Balls that I practice with, three to four hours per day, four days per week. This book is based on a self-coaching forum (ASPEN Pyramid). The ASPEN Self-Coaching Technique provides the beginner and advanced single-digit handicap golfer with a safe, ergonomic classic golf swing mechanics. The ASPEN forum for coaching golf provides basic skills for more power and control in the golf swing sequence without debilitating injuries that are common with some modern-day golf swings. 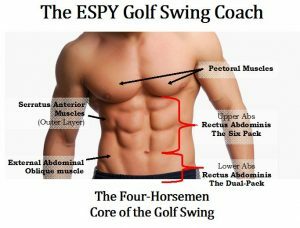 As part of The ESPY Golf Swing Coach forum is a workout program that includes golf exercises with medicine ball designed especially for golfers. I have also included a FREE SR925 Diet program that anyone can access, where I lost over 40 pounds and 7.5-inches in my waist within nine-months. I went from 37.5 inches in November of 2014 down to 30.0 inches in July of 2015 with the effective SR925 Diet Program that I developed, see detailed below. REMEMBER an easy RULE-OF-RULE to determine if you have a healthy BMI, you can take half your height; and your waistline should fall below this figure. SR925 Diet Program lost 7-inches where I went from a 37.5 inches to 30.25 inch waistline within 9 months, and more importantly, kept the weight off and my waistline after 4 years. Not too many diet programs can provide results like this. 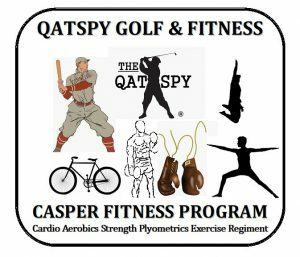 CASPER Fitness Program consist of golf exercises with medicine ball to develop a great golf swing workout for DISTANCE and CONTROL. Please include an exercise routine in your weekly schedule. Sports, such as golf, along with fitness and an exercise regimen that includes yoga, has been proven to be a great Cognitive Behavioral Therapy for trauma victims. Veterans and those who have experienced a traumatic situation where the mind has been traumatized and disrupted can use golf and yoga to help re-establish connection and pathways in the brain. Golf also provides an excellent opportunity for trauma victims to reconnect in a social setting to develop a dialogue without the pressures of clinical visits. 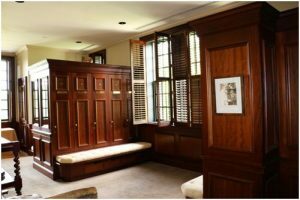 Please visit “The Locker Room” for an Index of all my golf articles to improve your golf game and life. Discover how you can take your baseball swing from the batter’s box to the tee box. Learn How to take your baseball-style golf swing from the batter’s box to the tee box. Time-lapse photography that I reviewed during my Kinesiology Xerox Box Golf Research Project compared the golf swing vs. baseball swing and how similar the Sync/Preset wrist action in the golf swing was to the baseball swing sequence. Here’s the QUESTION: How many times standing in the batter’s box did you think about your golf swing mechanics, techniques, or elements. Your were only focused on the pitch. Why not use the same Outlier technique in golf. One of Sir Nick Faldo’s first golf swing fundamentals that he learned as demonstrated in this YouTube video entitled The Preset golf swing technique. Nick Faldo discussed the WHAT, but didn’t explained the HOW in his YouTube video. 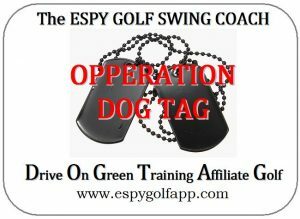 The Sync/Preset Elements in The ESPY Golf Swing Coach explains how to setup the classic golf swing maneuver to place the wrists into the key Lock Position. This was the same golf swing technique used by David Duval during an interview with Charlie Rymer on Golf Channel. These two Videos are probably two of the best Videos to discuss the wrist action in the golf swing. For Comments or questions please contact me at 1-888-514-1228 Mon – Fri from 9 am to 4 pm CT Zone.